Exactly four years back Chandrayaan 1 successfully completed the lunar orbit insertion operation on November 08, 2008 at 16:51 IST and become first Indian built spacecraft entering the lunar orbit. This manoeuvre involved firing of the liquid engine for 817 seconds when the spacecraft passed within 500 km from the Moon. The satellite was placed in an elliptical orbit that passed over the polar regions of the Moon, with 7502 km aposelene (point farthest away from the Moon) and 504 km periselene, (nearest to the Moon). The orbital period was estimated to be around 11 hours. With the successful completion of this operation, India became the sixth nation to put a spacecraft in lunar orbit. 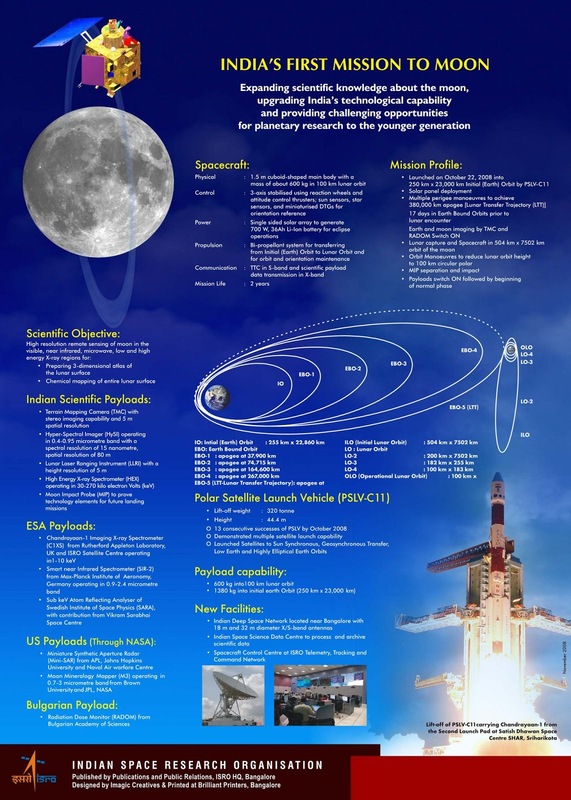 It may be recalled that Chandrayaan 1 spacecraft was launched on October 22, 2008 by PSLV C11 from Indias spaceport at Satish Dhawan Space Centre (SDSC) SHAR, Sriharikota.